This is a sponsored post written by me on behalf of Ebates.ca for IZEA. All opinions are 100% mine. As a self-proclaimed shopaholic, I've mastered the art of online shopping. From selecting a flattering makeup shade for your skin tone to determining your size to earning Cash Back while you shop, my tips reign Queen. And with my current addiction to Summer beauty products, I've been putting those tips to good use. So today, I'm sharing how you too can shop smarter online and earn Cash Back with Ebates.ca! With Ebates.ca you're rewarded up to 30% Cash Back, simply for shopping at the online retailers you already know and love! And with a multitude of retailers to choose from across all categories (over 750+ stores to be exact) and New Stores being added consistently, it's never been easier to earn cash while shopping! Signing up for Ebates is as simple as the process of earning cash with the site! All you need is an e-mail address! Here's How It Works: You sign up at Ebates.ca then simply click the store you want to shop to be brought to their website and continue your online shopping as usual. Once your purchase is finalized your Cash Back will be added to your account (usually within 7 days)! Sign up here! I've been using Ebates.ca for a few years now, especially when it comes to shopping for beauty products. Not only do they feature retailers like Sephora, MAC Cosmetics, and the Beauty Boutique by Shoppers Drug Mart, they also provide members with a list of all relevant deals and coupons for that specific retailer. So not only are you earning Cash Back, you also save on your purchase itself! And if you haven't already realized it, beauty deals are as hard to come by as a decent guy nowadays! I recently used Ebates.ca to earn cash while stocking up on some of my Summer beauty favourites at Sephora! The haul includes everything from my go-to summer foundation, Make Up For Ever's Water Blend Foundation to the oh-so lust-worthy CoverFX Custom Enhancer Drops. And scoring double Cash Back on my Sephora purchase through Ebates.ca makes the reward extra juicy!! 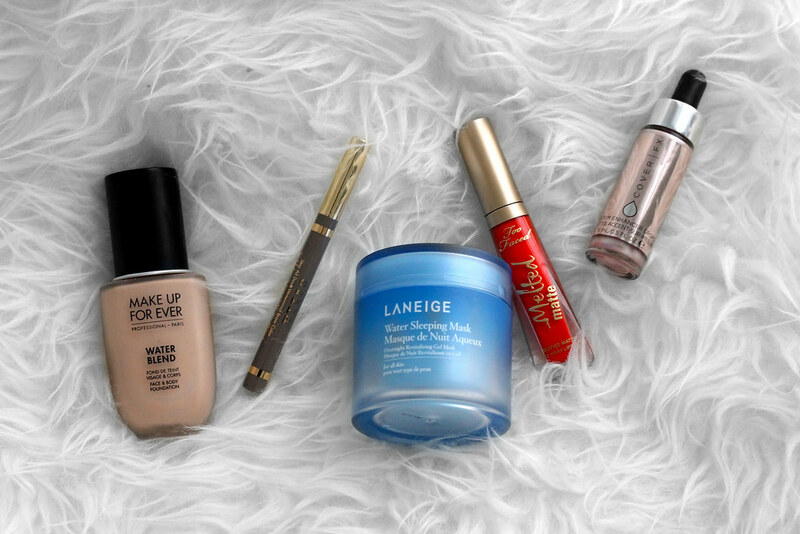 Check out my go-to summer beauty products below and Shop With Double Cash Back now! For Summer beauty, I'm all about a lightweight foundation, radiant skin and plenty of faux freckles! But before makeup comes skin care. To keep my skin hydrated and on point, I like to apply the Laneige Water Sleeping Mask before bed 2-3x a week. This luxurious gel mask seeps deep into the skin to ensure that my complexion is perfectly prepped for makeup come morning. As mentioned above, I grabbed the Make Up For Ever Water Blend Foundation and CoverFX Custom Enhancer Drops. Not only do these products feature insanely long-wear, they also have the ability to outlast even the hottest summer day! I also grabbed the Stila Stay All Day Waterproof Brow Color in order to adorn my face in faux freckles, and the Too Faced Melted Matte Longwear Lipstick in Mrs. Romper for a pop of colour that won't budge! 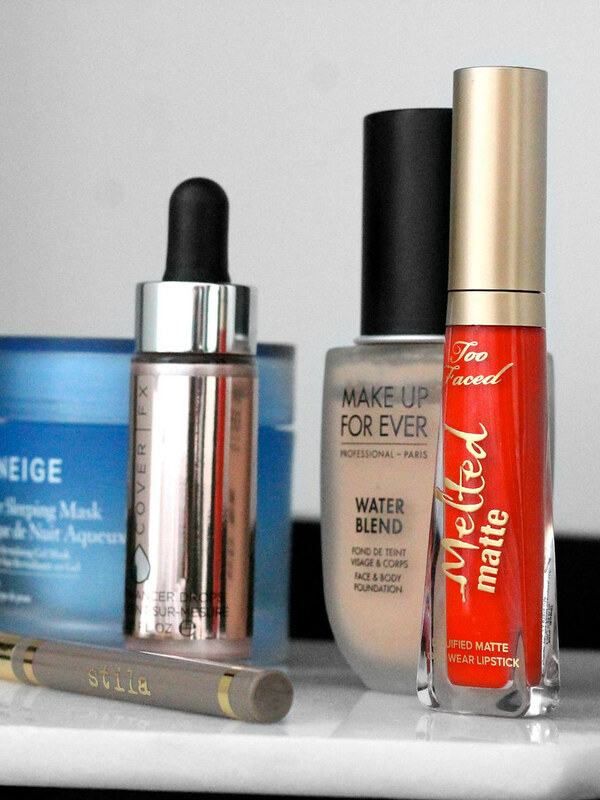 These products are sure to keep my Summer makeup fierce and on point, no matter what the weather holds. And thanks to my Ebates membership I actually earned Cash Back for purchasing them! Now that's what I call a successful haul! Can you believe that this year, on August 28th, Ebates.ca is turning 5 years old!? What are you waiting for? Sign up for Ebates.ca! Already an Ebates.ca member? Refer a Friend and let me know your favourite stores in the comment section below!